We've already compared how the new S10 lineup fares against the six-month old iPhone XS, iPhone XS Max, and iPhone XR. This time, we compare what we know about the Galaxy Buds against Apple's highly regarded AirPods -- as well as the rumors surrounding AirPods 2. It's early yet, but 2019 is shaping up to be a transformative year for the wearables category and the Samsung Galaxy Buds are just the first major player. The Galaxy Buds don't have the same look as AirPods, with the former fitting more subtly into the ears. 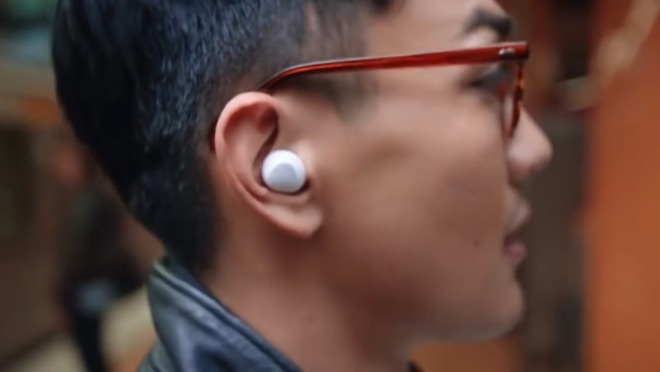 This makes them a bit more generic looking than AirPods -- with all that entails. 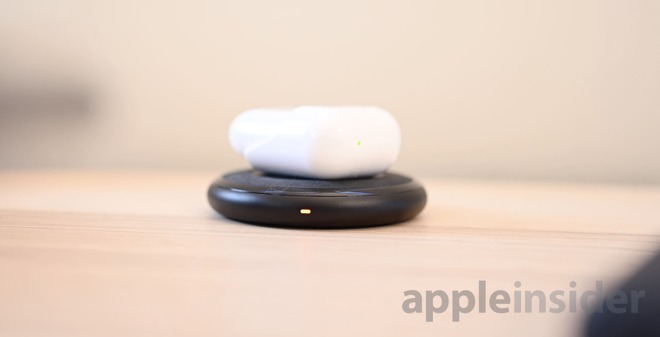 One of the biggest differentiating factors of the Buds versus AirPods is wireless charging. Galaxy Buds can charge via any Qi wireless charger or, more impressively, via the reverse wireless charging found on the rear of the S10. Set the Buds on the back of the S10 and the case will charge up. Apple promised, and so far has yet to deliver, a wireless charging case for AirPods which would add this feature to Apple's buds. Until then, third-party companies have stepped up with various wireless charging cases like the Pitaka AirPodPal or the SliQ sleeve. Another aspect would-be buyers should take into consideration is battery life. 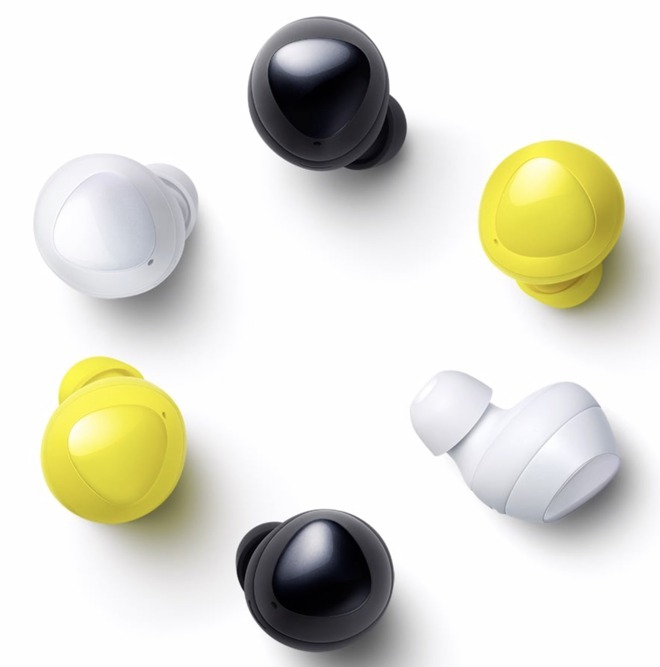 Galaxy Buds can be used for six hours on a single charge with the case adding an additional seven hours. AirPods only can rock out for five hours at a time before needing recharging. The case though has enough to extend the total use time over 24 hours. The lack of overall battery life is likely how Samsung got the charging case to be as small as Apple's. We give the edge here to Galaxy Buds because even though they have shorter overall battery life, they get longer actual listening time in between charges. That, coupled with the fact they can be charged anywhere on the back of an S10 or any wireless charger, makes them the winner in this category in our eyes. One feature that stood out to us was the ambient noise mode that allows you to control how much external audio gets to your ears. This is great for while you are outside or in a bus and listening to music but then need to talk to someone or hear the surroundings -- without taking the Buds out of your ears. Other advancements within the Galaxy Buds include dual microphones, a better acoustic seal, integrated Bixby assistant, two additional colors, and Samsung has even replicated Apple's simple pairing process. Even though AirPods launched in 2016, they still hold their own. As we mentioned, they have an overall longer battery life -- by quite a large margin. We also prefer the vertical case of AirPods to the horizontal of the Galaxy Buds. Audio-wise we will have to wait and see. Samsung boats superior audio designed by AKG which is a well-respected brand, but it also owns the brand so the claim can't be taken at face value. AirPods are lighter than Galaxy Buds, weighing only 4 grams to Buds 5.6 grams. For something hanging out of your ear, that near 30-percent decrease can mean a lot. Samsung also decided not to include any buttons whatsoever on the Buds, forcing users to use their voice and Bixby any time they want to control them. AirPods can be customized inside of the settings app. If you're an iOS user, there are also all of the deep integrations into iOS as well as the benefits of the custom W1 wireless chip. 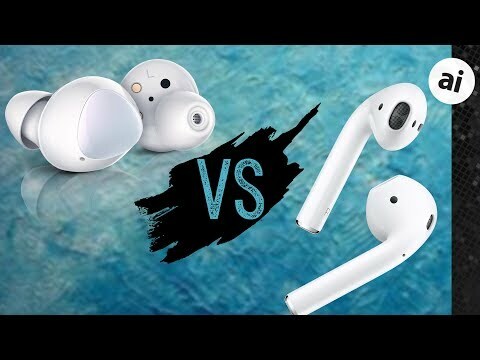 When you compare the AirPods against the brand new Galaxy Buds on paper, the latter is certainly the winner. They've got wireless charging, longer battery (per use), an integrated assistant, and an ambient audio mode. The AirPods can really only claim victory to overall battery and weight. A comparative listening test will have to wait, and we will do one. But those Galaxy Buds are brand new. Apple has been rumored for some time to release an updated version of AirPods with a ton of new features -- in many cases matching or exceeding those found in the Galaxy Buds. Support for "Hey, Siri" will be integrated -- just as Bixby is but will likely retain the exterior buttons. Wireless charging will be available either out of the box or via the optional upgraded wireless charging case. They may even be able to charge on the back of future iPhones. We can also expect improvements to audio as Apple tends to do on refreshes. Apple already is using an updated version of its custom wireless chip in the Apple Watch, so we will probably see improvements there as well. Rumors also peg a better texture and black color option. One of the biggest questions surround AirPods 2 will be any health features that Apple includes. They could arguably be a greater health monitoring device than Apple Watch. This would certainly be a huge differentiator for AirPods 2. AirPods are available now for $159 but have largely remained out of stock while Apple still tries to keep up with demand two years in. Samsung's Galaxy Buds will go on sale March 8th for $129 or will come free when you preorder the new Galaxy S10 or S10+. Apple's AirPods 2 haven't been formally announced but are rumored to debut sometime in 2019, likely in Spring. 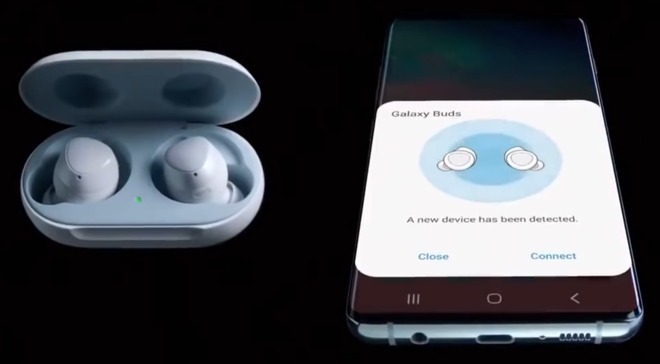 Galaxy Buds were just one of the new wearables that Samsung announced during its media event. They also showed off the Galaxy Watch Active and the Galaxy Fit. Let's not give these AirPod wannabes any attention. This is what made people think androids were real iPhones. With a little training, the AirPods can be used continually all day unless stereo mode is always required. I've suggested to friends once they hear the first whirble (while on phone) to place one of the pods in the case and within a few minutes it will fully charge, then use then use the charged AirPod and then place the other in the case for a full charge. The reaction is always a surprised look and then they say "I hadn't thought of that, great idea". Apple might consider more infomercials on how to get the most out of their products. Honestly, I’ve always felt this was the way Apple had always expected the use of AirPods, more one at a time than both at the same time. And what’s very interesting is that most users use them in stereo than one at a time. one question this didn't answer is 'mic performance'. The fact that the airpod stems can provide a more directional mic improves both base quality, and the AirPod2(?) potential ambient noise cancellation capabilities (see https://www.forbes.com/sites/davidphelan/2018/12/05/airpods-2-new-patent-reveals-noise-canceling-biometrics-and-profound-design-change/#3caf714a3e5e). I'm just curious about the 'biking' to work conversation comparison. with 10mph breeze and back ground noise, can Siri or the person on the other end understand me. I'm really happy that Apple Insider doesn't listen to you. While the AirPods might be perfect for some, they aren't for others. With the 2-hour talk time, they are pretty much worthless for people who use their phone to...you know...talk. Everyone should be happy that many companies have entered this market. Competition creates innovation. Oh please the "competition creates innovation" meme has been disproven all the time. Small correction. Although true they don't have physical buttons, neither voice nor Bixby is required to control them. The Buds are touch sensitive and can play/pause/skip tracks, take calls, or summon assistants from either ear. This comparison is flawed without actually testing them. How things look on paper doesn’t always transfer to actual use. Airpods became popular because they work so well in actual use. Does anyone find the proprietary M1 chip kind of shady? Or rather, the proprietary pairing API that M1-equipped hardware can use to seamlessly pair with iOS devices? I find it a little unfair that it is literally impossible for third-parties to make Bluetooth audio equipment that works as well as AirPods or Beats, and an antitrust argument of Apple using their control of one market (iOS devices) as leverage over another market (accessories) is pretty straightforward. As someone who loves Apple, but can't use AirPods because they don't fit my ears, I thank you for your consideration. That, coupled with the fact they can be charged anywhere on the back of an S10 or any wireless charger, makes them the winner in this category in our eyes. Did I miss it, or is wireless the only way to charge these? I don’t see a problem so long as Apple does not block the operation of third party generic Bluetooth accessories. Nice. I like the how you can charge the Buds off the phone wirelessly. Also no mic sticking out from the ears is cleaner looking. But that may affect sound input quality... we'll see. I always find the hanging mics sticking out from the ear on AirPods are ugly. Other than that, I love using it. Chargeable via USB-C as well. If it's been proven so many times, I'd love to see your source on that. Looks like the Galaxy Buds have user-swappable earpieces, as opposed to Apple's one-size-fits many approach. My apparently freakishly large ear holes would welcome the option to walk down the street without constantly reseting my damn AirPods. Running with them? Ha. "Better acoustic seal"...what does that even mean? Sounds made up. Regular speakers don't require any type of "seal" with your ear to sound good, so I'm not sure the fact that Galaxy chose the plug-your-ear approach really means much of anything when it comes to sound quality. While the AirPods look a touch dorky, the Galaxy Buds look really dorky, IMO. There's no accounting for taste, though. The reverse charging thing seems like a really bad idea. If you're using your phone enough to drain your ear buds, you are probably going to need to charge your phone, too, and you won't be able to use your phone effectively with it upside down and the ear buds on the back. Add to that the power loss caused by inductive charging wasting even more energy. Being able to plug them into the phone would be a far better idea. The only disadvantage is that you need to have the cord, but most people around here consider it a given that you carry all your dongles with you at all times, so that shouldn't be an issue. 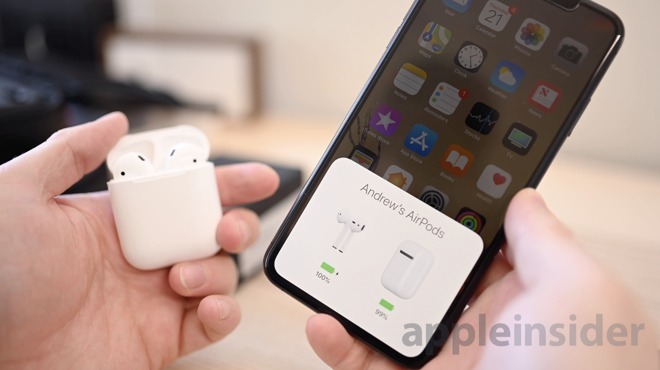 The advantage of the AirPods for the iOS user is the W1 chip, and all the capabilities it delivers that the Samsung Bluetooth wireless pods cannot match. the ability to charge the case off the phone wirelessly is intriguing and a great promotional feature, but I struggle to how that would work in real life. The case should have sufficient charge to recharge the EarPods enough for a day’s use in the first place without the battery drain on your phone. I suspect it is one of those nice features that hardly ever gets actually used for the stated purpose. The reverse charging feature would be more interesting, and worth the battery charge sacrifice on your phone if it didn’t need the case to reverse charge the buds. That would be a much better use case for reverse charging than requiring the buds’ case to work (eg the way the Apple Pencil 2 works, it doesn’t have its own case). Oh, one more thing: AFAIK the purpose of Bixby is to make Siri look more capable. one more one more thing: it’s a bit unfair to talk compare the Samsung product with an unreleased AirPod 2. Once they are released, maybe. Not really an issue IRL, as someone who’s actually owned them for two years. First, plenty of people only talk on the phone with one ear, which doubles the talk time. Second, even if you want both, it takes minutes to recharge a pod, so if for some reason you talk for hours straight and can’t recharge inbetween calls, you can take a pod out and charge it, then do the other. Non-issue. Best part of AP is mic quality. No one can tell you’re on a BT headset.